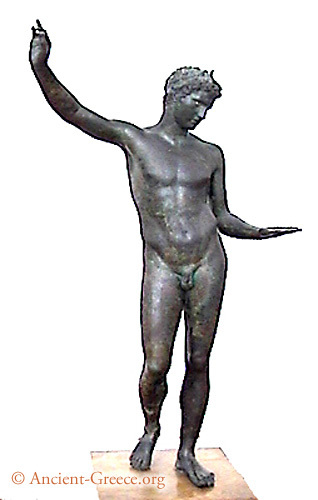 Bronze statue of a youth studying an object. According to Kaltsas (242), the left hand was replaced at a later date with one in the shape of a lamp. Circa 340 ­ 330 BCE. National Archaeological Museum, Athens, Greece.